An interest in militaria is something that really runs in the Boys family, ever since the late Brian Boys – Chairman of B&E Boys – acquired a Ferret Scout Car. An avid collector and military enthusiast, Brian Boys went on to amass one of the largest private military vehicle collections in the UK. B&E Boys are well known for the various divisions of the company, and it’s now 30 years since Select Military Vehicles began trading in military vehicles, spares, surplus and memorabilia. All vehicles are cared for by a dedicated team of military vehicle enthusiasts and dry stored. Potential buyers are welcome to visit by appointment and a new Select Military Vehicles website is set to launch soon. The M47 US tank is one of the most iconic military vehicles of the twentieth century. 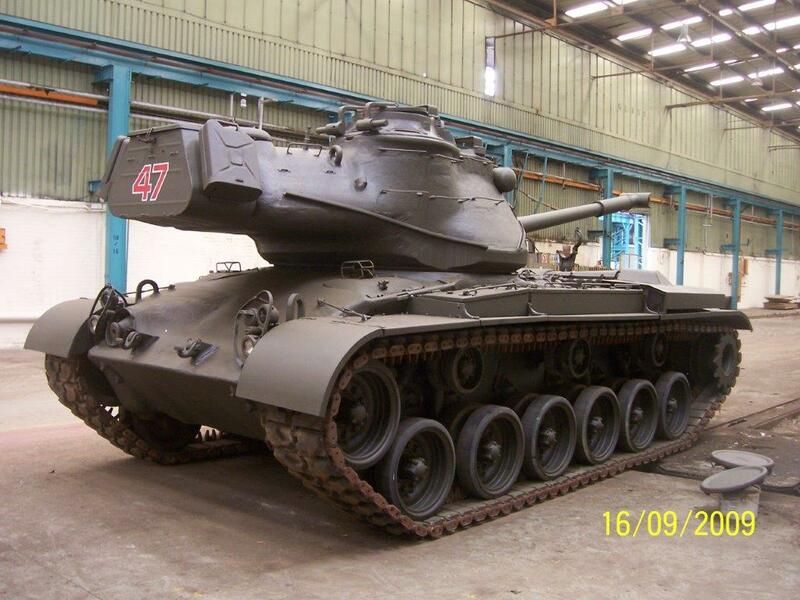 In service in the 1950s and 1960s, the M47 was the second of three tanks to be named after the Commander of the US Third Army during World War II, General George S Patton. Although the M47 was the only one of the Patton tanks not to see combat in US service, it was used widely by America’s Cold War allies in various conflicts, ranging from the Suez Crisis to the Indo-Pakistan War of 1965. The particular M47 model that B&E Boys have in our possession was acquired over 20 years ago. Unfortunately, having been stored outside, the tank has suffered from a significant amount of corrosion to the engine bay area. The M47 was stripped down so that it could receive various parts that were required in the restoration of this fantastic piece of military history. Replacements included oil coolers, a refurbished donkey engine and a new old stock engine. The M47 already had virtually new tracks and running gear but in order that its mechanical reliability could be maintained, new dash panels were installed. The gearbox and transmission are in fine working order but one of the fuel tanks underwent some crucial refurbishment work to ensure that the donkey engine and V12 Continental engine will have an adequate fuel resource for ongoing use. Balancing the carburettors and checking the timing and points of the 4 magnetos to ensure that everything was correct proved to be quite a noisy task! The tank is now being painstakingly re-assembled and it is hoped that its maiden voyage will take place in next few months. The M47 became obsolete – a victim of modern anti-tank weaponry making it an easy target – but its place in military history is assured. M47 tanks are highly sought-after pieces. The most notable civilian owner of a M47 is probably Arnold Schwarzenegger. We may not have his celebrity status but we are just as proud as Arnie that we have a M47 Patton in our hands.